. 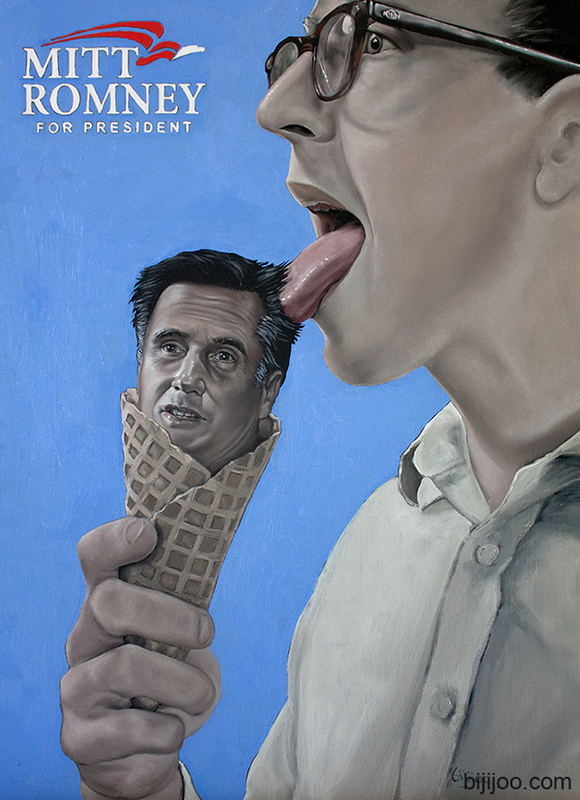 2012 Presidential Campaign Poster Mitt Romney (Ice Cream). Oil on panel, 13in x 19in, 2012.